This meticulously kept home is a must see! 2 story home with basement. 3 Bedrooms, 2.5 bath with laundry upstairs! Hardwoods in the main living area. Large eat in kitchen with granite countertops. Dining room has beautiful decorative crown molding! Beautiful 3 season room/screened in porch has wall mounted heater. 2 car garage with extra parking pad on the side of the garage. Many upgrades! A few are as follows: Furnace – 2018, Garage door opener and torsion springs - 2018, Newly sodded front yard with Bermuda grass (summer picture of grass is beautiful) - 2018, Gutters/gutter guards - 2017, Water heater - 2016, Appliances - 2018, Sodded front yard - 2018, Landscape lighting - 2018, Recessed lighting in kitchen - 2017 and new hardwoods on main floor - 2015. 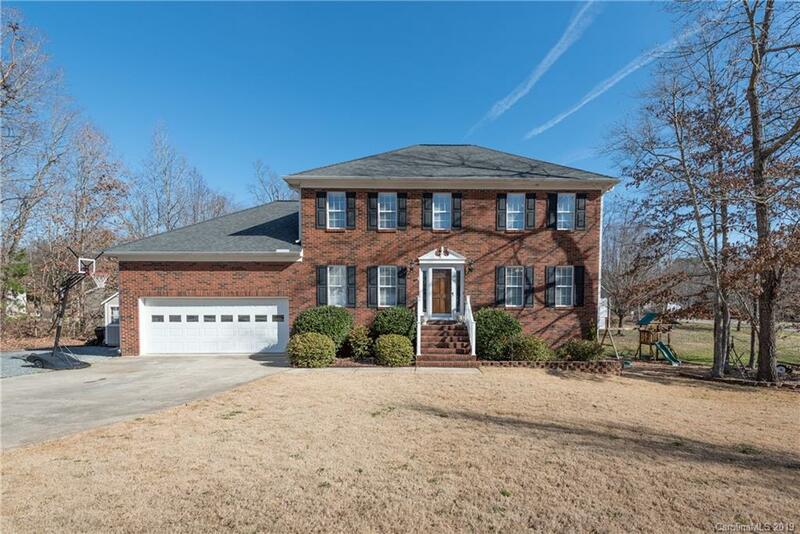 Come see this move in ready beauty! Full list of upgrades in attachments. Please ask agent!